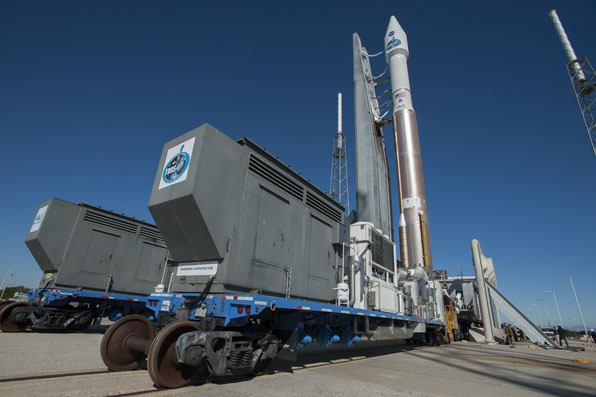 An Atlas 5 rocket with NASA's next Tracking and Data Relay Satellite was transported from the assembly building to the launch pad for Thursday night's liftoff. 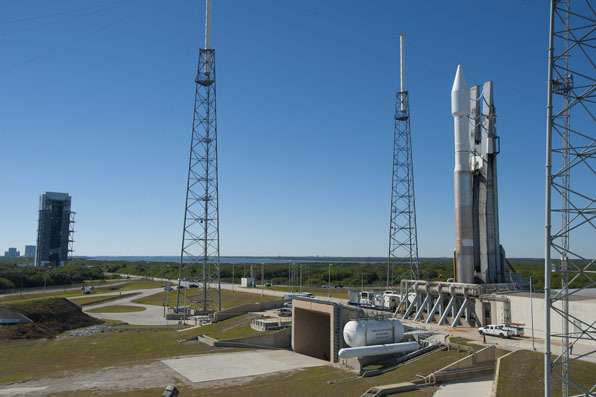 "NASA has a terrific record flying on Atlas 5. 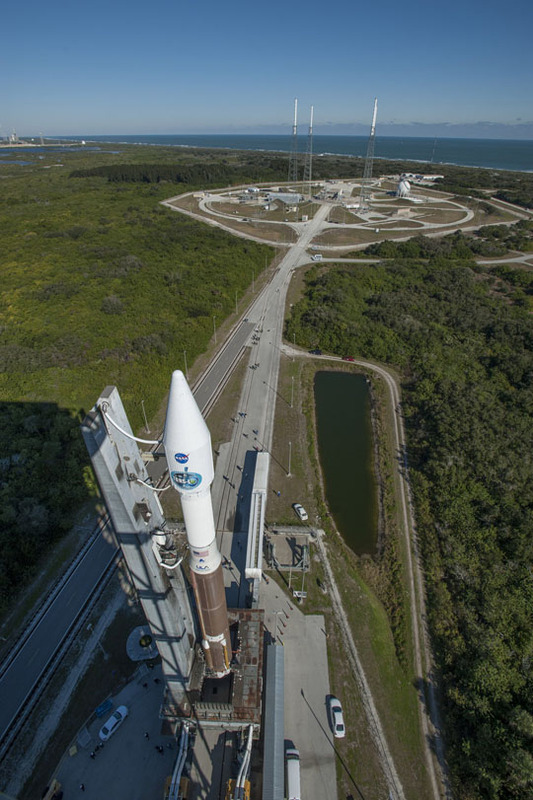 We've successfully launched 10 missions on this rocket -- missions to Pluto, Jupiter, the moon, the sun, the radiation belts and three spacecraft to Mars," said NASA launch director Tim Dunn. 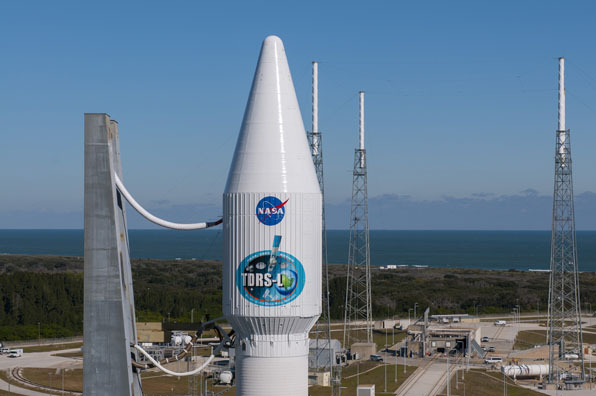 The flight Thursday will deploy a replenishment satellite for the TDRS network that works in geosynchronous orbit 22,300 miles high and looks down to track low-Earth orbit spacecraft. "The voice and data communications that the TDRS constellation brings back to Earth every day from the International Space Station, the Hubble Space Telescope and many of our on-orbit NASA spacecraft touch each of our lives," said Dunn. Rollout one-third-of-a-mile began at 10:22 a.m. EST and took about 30 minutes. The launch team loaded the first stage with RP-1 kerosene fuel later in the afternoon before securing the rocket for a quiet overnight. 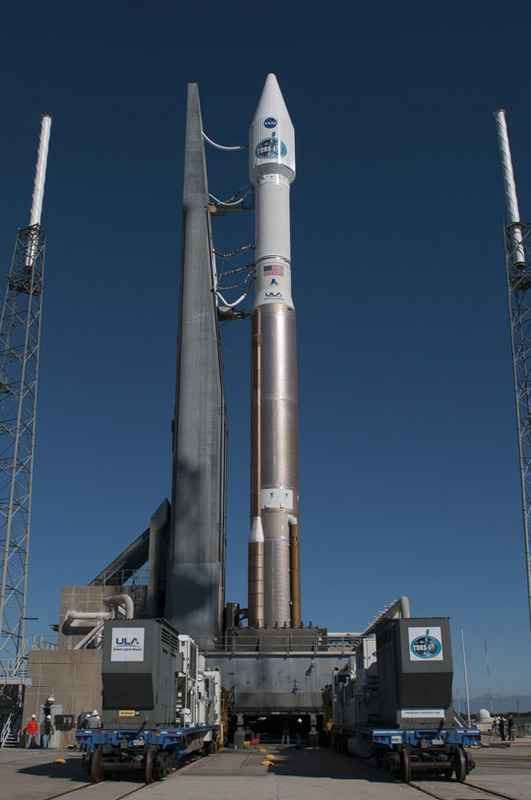 The countdown begins at 1:55 p.m. EST for liftoff at 9:05 p.m. EST. 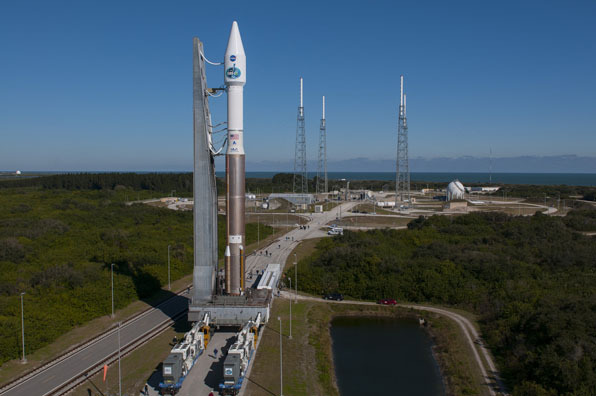 It will be the first of 15 flights in 2014 for United Launch Alliance and the 78th since the firm was created seven years ago.